As DevOps fundamentally changes the application development and delivery process, perhaps no role feels the effects more than QA. Where testing traditionally occurred as a post-development stage, now it must keep up with development cycles that last days, or even weeks -- no easy task. Continuous testing in DevOps exemplifies this shift in thinking, as teams evaluate applications more quickly, thoroughly and frequently. Automation helps testers achieve some of these objectives, but the work doesn't stop there. Different apps require different testing methods, and, underpinning it all, an organization must foster continuous testing -- and all of the ideas and efforts that undergird it. To make DevOps work, it's no longer just testers who do the testing -- and tools alone won't get the job done. Developers, operations engineers and other team members need to embrace continuous testing in DevOps, and make the necessary adjustments to improve tests on future cycles. 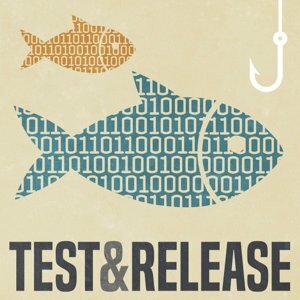 In this episode of our Test & Release podcast, Eran Kinsbruner, author of the book Continuous Testing for DevOps Professionals and evangelist at cloud-based testing tool maker Perfecto, discussed some of the ins and outs of the practice. In Kinsbruner's opinion, you can't have DevOps or continuous delivery without continuous testing. He also has tips for how to measure the success of continuous testing, and predicts the ways in which AI might change that work in the future. How much of your software testing is automated?